Alpine Electronics of America is now shipping a mini amplifier that mates with its new price busting $299 Alpine CarPlay deck (iLX-W650). The amplifier (KTA-450) is about the size of a brick and is designed to sit behind the $299 head unit, adding 50 by 4 watts of power. The deck plus the amplifier can stack together to fit into a standard double DIN opening. But both units may also be sold separately. Alpine’s iLX-W650 head unit has made waves in the market as the lowest cost CarPlay deck available from a leading brand. We are told it is in backorder, selling far beyond Alpine’s expectations. The KTA-450 Power Pack is a Class D amp that uses Alpine’s Dynamic Peak Power (DPP), which “intelligently adjusts the gain to adapt to musical needs. 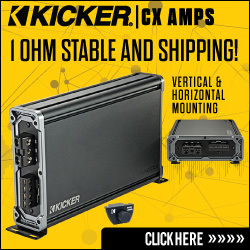 It prevents the amplifier from clipping by delivering bursts of power during dynamic musical passages to essentially double the amplifier’s power without increasing its size,” Alpine said. With DPP, the W650 deck plus Power Pack delivers the equivalent of 400 watts, it claimed. The KTA-450 and iLX-W650 won a 2019 CES Innovation Award. The KTA-450 is available for $230 suggested price, joining the iLX-W650, which shipped recently. Educar Teams With Reliable in Northern Calif.
Read again…..$229 (probably more like $199 map). The radio itself is $299. Not trying to be a jerk, but why is it $299 when the 445 is $149? An extra $150 for some metal brackets?